The government today decided to authorise panchayats and other urban local bodies (ULB), including Municipal Corporation, Municipal Council and Nagar Panchayats, to issue ration cards within their respective jurisdiction. The government is spending about Rs 350 crore to give subsidy to farmers of the state for construction of poly houses. The scheme is in full swing and thousands of farmers have got poly houses constructed in areas ranging from Una to Lahaul and Spiti. Though patients with high-grade fever visit zonal and district hospitals every year, neither microbiologists nor testing kits are available to diagnose life-threatening scrub typhus fever. While lack of annual confidential reports (ACR) on the service books of many employees working at institutions run by the Baba Balak Nath Temple Trust Deoth-Sidh had deprived them of many financial benefits, now alleged pick-and-choose policy being adopted by the trust management to give promotions after conducting a Departmental Promotion Committee (DPC) meeting has evoked a strong reaction from its employees. The government today constituted a committee to conduct a probe into the alleged irregularities in the HP School Board examination scam where fake certificate racket had been unearthed putting a question mark on the credibility of the board. A request by Class V student Vipasha to the Chief Justice of the high court highlighting the plight of schoolchildren, who in the absence of parks and playgrounds are forced to watch television, could pave the way for creation of such a facility here. 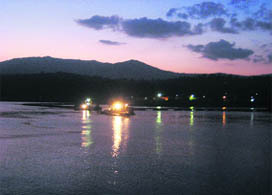 To improve the environment in the industrial hub of the state, Baddi-Barotiwala and Nalagarh, the Green Bench of HP High Court comprising Justice Deepak Gupta and Justice Sanjay Karol has directed the Chief Secretary of the state to set up a common Effluent Treatment Plant in the Baddi-Barotiwala and Nalagarh area by April 2012. Having drawn flak for failing to finalise, both the list of debtors whose outstanding loans have been waived off and the ones who have become untraceable, the State Financial Corporation has temporarily put its lending facility on hold. The Himachal Pradesh government has given priority to a number of projects that would directly benefit farmers, orchardists and cattle breeders of the state since it is convinced that development of the state is dependent on growth of these sections. The government has decided to celebrate the golden jubilee of the Atal Behari Vajpayee Institute of Mountaineering and Allied Sports, Manali, which will complete 50 years of its existence in September 2011. Kangra valley experienced an earthquake last night measuring 6.5 on the Richter scale. It lasted for 30 seconds with its epicentre in the Hindukush mountain region. However, no loss of life and property was reported from the valley. Six bags of medicinal herbs have been seized that were being smuggled yesterday in a private vehicle at Mehal nullah in the Pangi tribal valley of Chamba district. The decision was taken by the Cabinet which met under the chairmanship of Chief Minister PK Dhumal here today. It had been decided to authorise Secretary/Executive Officer/Assistant Commissioners of Municipal Corporation, Municipal Council or Nagar Panchayats to issue ration cards within their respective jurisdiction. These have to be countersigned by the president, chairperson or mayor of the concerned urban local body. In rural areas, the ration card shall be issued by the secretary, panchayat sahayak of the concerned gram panchayat and countersigned by the pradhan in their respective jurisdiction and if the panchayat is defunct it will be issued by officials of Food, Civil Supplies and Consumer Affairs Department. The government also decided to provide 8 kg of wheat or flour per person every month during the intervening period of July 1, 2010, to June 30, 2011, in all tribal areas of the state and difficult areas of Dodra Kwar in Shimla district and Bara Bhangal in Kangra district in relaxation of the norm of 35 kg of quota per family. The Cabinet also granted permission for filling 258 posts of pharmacist in the Health Department on contract basis through the Rogi Kalyan Samitis. It approved regularisation of services of the 11 contract teachers completing eight years of service in different District Institute Education Training. It also approved the attachment of local government health institutions for clinical and practical training purposes of BSc and GNM students in some of the existing private institutions to meet the mandatory requirements of the Nursing Council of India. It approved arrangements for the sale of power share through the Power Trading Corporation of India at competitive rates in the open market, both against equity participation as well as free power entitled in various hydroelectric projects. 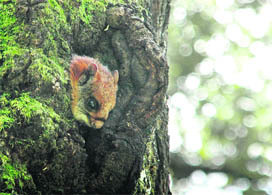 It approved Himachal Pradesh (Forest Police Stations) Rules, 2010, for effective implementation in checking of smuggling of forest wealth, illegal forest felling and to protect the forest wealth. However, Palampur Agriculture University scientists have now identified six main shortcomings in these houses, which can make these unviable for the farmers. The scientists told The Tribune that the basic shortcoming is that these houses just have a single door. As soon as the farmers open the door, pests, especially nematodes, enter the house. Since there is no exit for pests, they inflict maximum damage to crops in the houses. The scientists, hence, suggested that there should be two doors to the entrance of a poly house for it reduces the numbers of pests entering the effective portion of the house by 80 per cent. Another shortcoming is that there is inadequate side ventilation in these houses and that side ventilation should be formed with ultra-violet stabilised nylon net. Also, there is no sufficient top ventilation, drip irrigation facility, overhead fogging/mist system and use of agro shade net of 40 to 50 per cent intensity. Ironically, Palampur Agriculture University has got a project worth Rs 1.3 crore to carry out research on the poly houses. The scientists said they might complete the research in another one year following which only they could suggest standards for these houses. But most poly houses would have been built by then. This clearly illustrates the lack of planning and coordination between the agricultural scientists and bureaucrats who have drafted the scheme. The university got the research project for suggesting standards for the poly houses after the scheme was already implemented across the state. Whereas the scheme should have been implemented after a thorough research. The farmers in lower areas like Una and Lahaul are already complaining regarding various shortcomings. In Una, the temperature is extreme in summer while it’s foggy weather in winter. The technology being provided in the existing poly houses in not viable. In Lahaul and Spiti, the farmers are complaining of small sizes of the houses. The government has issued directions on increasing the size of the poly houses from 40 sq m to over 100 sq m though. Doctors said 20-30 per cent patients coming to the zonal hospital here suffer from high-grade fever, body ache, abdomen pain and vomiting in the OPDs during August-September. “On an average seven to eight patients are diagnosed for scrub typhus fever, not by proper testing, but by the symptoms,” they revealed. “The scrub typhus fever is caused by viral and bacterial infections and special “weil-flex” or Alisa test is required to diagnose it,” the doctors added. Dr Heman Kumar, head, medicine, zonal hospital, said they diagnose patients on scrub typhus symptoms. “Most fever patients respond to treatment prescribed for scrub typhus. These cases are declining now and only one patient died of it, who was admitted to a local private hospital,” he added. The doctors termed the “weil-flex test” meant for scrub typhus in many hospitals as obsolete. “The Alisa test diagnoses scrub typhus pathogens, but it costs Rs 2,000 or so and is available at the IGMC or other medical college in the state,” they added. The story is no different in Sundernagar, Kullu, Bilaspur and other district hospitals in the state, the doctors said. “If we have kits, we have no microbiologist. The Rogi Kalyan Samitis (RKS) have failed to hire testing kits from the Central Research Institute, Kasauli,” sources revealed. The Health Department blamed the district and zonal hospital authorities for not procuring testing kits from the CRI. The district hospital authorities claimed that they could not conduct test in the hospital as they need a microbiologist. Mandi CMO Dr AB Gupta said the patients with high-grade fever were given symptomatic treatment for scrub typhus fever. “We have no testing facility and microbiologist has joined the Tanda medical college,” he added. Director health services Dr Vinod Pathak admitted shortage of microbiologists in district hospitals. “The district hospitals are authorised to use RKS funds to procure test kits from the CRI. We are appointing microbiologists in all hospitals,” he added. Though about 150 employees are working in three institutions run by the trust i.e. Degree College, Sanskrit College and Model school at Chakmoh but ACRs of many employees appointed after 2000 are neither available in their offices nor are at the chairman’s (SDM Badsar) office. It is pertinent to mention here that while many employees got their service books prepared and ACRs signed by the officers concerned on their own, but records pertaining to many others were never prepared. Interestingly, the trust authorities, instead of preparing the service record of all employees and signing their ACRs, are now allegedly adopting double standards in granting benefits like promotions under the Assured Progressive Scheme (ACPS) after 8, 16 and 24 years of service. Since service books and ACRs are considered the most important documents during the service of employees affecting their promotions, some employees are now contemplating approaching the high court to get justice. Onkar Sharma, director, Industries, will be the chairman of the committee. Dr Yogesh, joint director, colleges, Directorate of Higher Education; and Satish Dhiman, deputy DEO, Deputy Director of Elementary Education, Kangra, will be its members. The committee will submit the report to the government at the earliest. The committee will look into the in-built mechanism for maintaining secrecy, transparency and removing shortcomings in general and indicate in specific terms as to how the earlier system failed at different levels that resulted in such grave irregularities. The committee would also inquire into the existing procedure being followed for examinations and admission of both regular and private students and approved scheme for allotment of centres to the candidates for examinations. It would also inquire into the in-built mechanism for safe custody and use of blank answer sheets at various levels, instructions to those in charge of spot evaluation centre for receiving the parcels of scripted answer sheets from the examination centres and the mechanism in place for verification of process at different levels. A letter written by Vipasha to Chief Justice Kurian Joseph evoked an instant response as the court has asked the principal secretaries, PWD, Forest, Urban Development, Deputy Commissioner (Shimla) and the Municipal Corporation Commissioner to respond. Vipasha urged Joseph to help children get their own space where they could play and indulge in other activities. “Today, Shimla is a concrete jungle with no parks, open spaces or grounds for children forcing them to remain glued to television that we know is not good for our health,” she remarked. She even suggested a site between new Shimla and Vikasnagar that the government had developed by filling up a nullah as a possible site for a park and playground. In yet another case, the court took notice of a plea by HPU student Akshay Kumar who, after completing his M Phil in English, had failed to get admission to the PhD course. He pointed out that since HPU had made a limited provision for PhD in various streams, he could be denied a chance of higher education. The student, suffering from 75 per cent orthopaedic disability, has also asked the university to state whether the reservation benefit in the true spirit of the legislation, the Persons with Disabilities (Equal Opportunities) Act, 1995, has been granted to any student in case of PhD registration and whether there are any guidelines in this regard. The court has also asked the university to specify to have a special consideration for the petitioner. The court observed that if such a project was not established, it would be counter-productive and setting up industries, too, might not be permitted. The court cautioned the state that if the work of the plant was not undertaken, the court might be constrained to order that no further industry should be allowed in the area. Sources in the corporation said they were now awaiting directions from the government as a proposal to permanently do away with the lending facility was under consideration.The corporation had failed to provide information about debtors to an RTI activist and despite suffering losses to the tune of Rs 102 crore till March 31, 2009, it had done little to recover loans. Almost 80 per cent loans had been availed by the MSME sector and since its establishment loans worth Rs 700 crore to about 5,000 entrepreneurs had been disbursed. However, the accumulated losses lend credence to the fact that the corporation suffered from high percentage of Non-Performing Assets forcing the government to consider withdrawal of the facility. With perpetual losses, the corporation had failed to earn profits for the government. The RTI activist had sought a complete list of defaulters along with addresses of those who had not returned the loans even after about 10 to 20 years, particularly current and former elected representatives, bureaucrats and their relatives. The query had, however, remained unanswered. “With several private sector banks and easy lending facilities at lower interest rates ranging from 8 to 11.5 per cent, there was little relevance in availing loans from the corporation at an interest of 13.5 per cent,” said Tajinder Goyal, president Laghu Udyog Bharti, Sirmaur district. Goyal added that financial corporations in the neighbouring states of Punjab and Haryana, had also come under the red due to poor loan repayment. Moreover, there was little rationale in availing loans at one per cent higher rates as serious entrepreneurs managed to avail easy loans from the private sector where banks assessed a unit’s financial credibility provided easy loans. Chief Minister Prem Kumar Dhumal said while presiding over the concluding function of the three-day Kisan-Bagwan Sair Mela at Jukhala about 30 km from here this evening. Dhumal said projects like the Rs 353-crore Doodh Ganga Yojna, Rs 365-crore Pandit Deen Dyal Kisan Bagwan Poly House Yojna and now, Rs 400-crore vermicompost yojna would change the face of villages. While praising Bilaspur district, Dhumal said it had become a pioneer in bringing a revolution by cultivating seasonal vegetables and costly flowers through a chain of green houses. He said it was a matter of pride that the state would supply flowers worth Rs 30 crore for the upcoming Commonwealth Games. He said Bilaspur would soon have a Hydro-Engineering College, only the building of which would cost Rs 250 crore, and would be the first college of its kind in the country. Its stone would be laid by Central Power Minister Sushil Kumar Shinde next month. A series of events will be organised to mark the celebrations. Stating this here yesterday, Chief Minister Prem Kumar Dhumal said skiing championships would be organised at Narkanda and Solang Nullah, skiing training camps at Lahaul, Kinnaur, Spiti, Khara Pathar and Bharmour, adventure camps and trekking expeditions at Dharamsala. Water regattas and water sports training camps would also be conducted in Bilaspur, Kullu and Hamirpur as a prelude to the golden jubilee celebrations next year. Dhumal further said it was a pioneer institute of adventure sports with many firsts to its credit. Over 1.2 lakh youngsters had been imparted training in different disciplines of adventure sports here hitherto. Many mountaineers from the institute had successfully scaled the Everest and brought laurels to the country at a global level. Dhumal added that regular adventure camps were being organised by the institute to acquaint youngsters with the flora and fauna of the Himalayas and develop a spirit of adventure. He said the celebrations would highlight the achievements of the institute and its contribution in promoting mountaineering, rock climbing, trekking, adventure camps, skiing, water sports and other sports. Dr RS Negi, in charge of a seismological laboratory at Naddi, said the tremors were experienced at 12.51 am which lasted for 30 seconds. He said the tremors were also experienced in the Chamba and Bharmour areas of the state in the northwest direction in the Dhauladhar mountain ranges. Kangra Deputy Commissioner RS Gupta said there was no loss of life or property reported from any part of district following the earthquake. The valley falls in the seismic zone V and had experienced a devastating earthquake on April 4, 1905, in which 10,527 people of this temple town were killed. Disclosing this information here today, Superintendent of Police Chamba Madhu Sudan Sharma said the medicinal herbs were seized from the vehicle coming from the Saach area. The vehicle was impounded, the SP said.